QUICK MOVE-IN HOMES AVAILABLE! 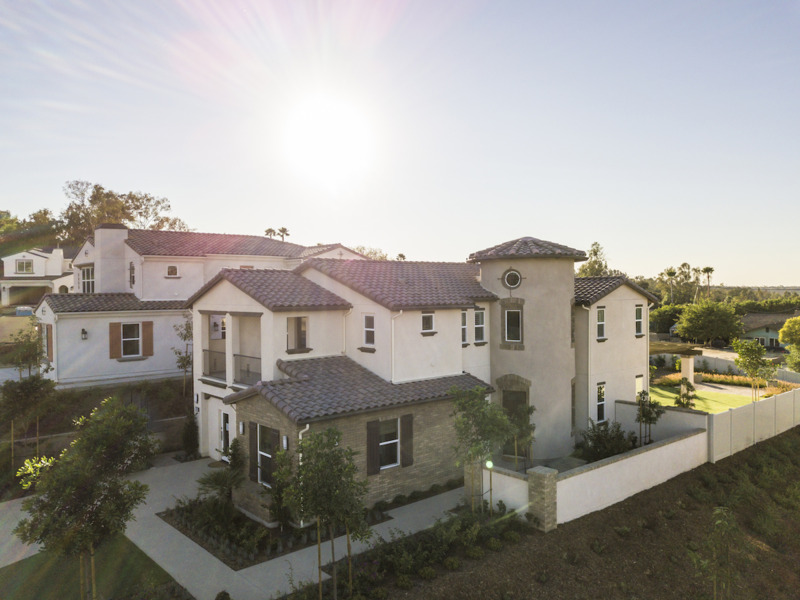 Set against a beautifully scenic North County backdrop, discover modern living, thoughtful features, and the best of new construction at Thornbush. This exciting, new, single-family home community from HQT Homes offers incredibly spacious 4-5 bedroom residences that span 2,632-2,993 sq. ft. in lots that range from 7,000 to 14,000 sq.ft. Discover pampering master suites with walk-in closets and designer finishes, gourmet kitchens with plenty of counter space and storage, and main living spaces that the entire family will love every day as well as special occasions. San Marcos has plentiful recreation including popular Lake San Marcos. This area is also known for academic excellence including the San Marcos Unified School District and nearby Cal State San Marcos and Palomar College. A thriving culinary scene is also a great perk. Don’t miss your opportunity to experience luxury that designed for today’s growing families, now and for the future.